The scavenger hunt game to a kid is all about fun, whether it’s played in the house, the backyard or the neighborhood park. But what is a scavenger hunt and how did this activity of fun and merriment come about? When you think about a scavenger in nature it brings up some not so pleasant thoughts about animals and vultures feeding on dead or decaying matter. Yikes, that doesn’t sound like a fun kids game to me. Actually the scavenger hunt is not just for kids anymore. It has turned into a lot of fun for adults as well and even into team building workshops for companies trying to encourage team work and bonding in the workplace. Many Universities also use the scavenger hunt concept as icebreaker events for students to bond and get to know one another. The modern day scavenger hunt is said to have evolved from ancient folk games and became popular at parties and was written about as a popular party game in the 1930’s. Today with the internet there are versions of the game that encourage participants to visit sites and get information that will help them solve riddles or puzzles. Internet scavenger hunts are also used by teachers to get their students to search the web for answers to questions about history and other subjects. Back to the kids. What’s more fun than a scavenger hunt? A treasure hunt, of course. Same idea but if it was up to me I’d rather search for treasure than scavenge for stuff. 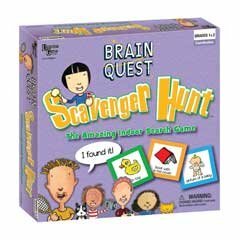 The treasure hunt or scavenger hunt are two names for one fun kids adventure. If it’s too cold to play outside, no problem, hide stuff all around the house. If the activity is for toddlers between 2 and 4 it should be held in a small space where they can be watched at all times, games for toddlers should also be very short in duration because they lose interest pretty quick at that age. The scavenger hunt is a great way to keep kids of all ages entertained. If you are using a scavenger hunt as part of a birthday party, choose a theme that is age appropriate. There are many great ideas that you can try. Make each clue an ingredient if your kids are interested in cooking. When they find all the ingredients, you all bake the cake. It can also be a fun time to turn out all the lights and search the house for clues with a flashlight. You get the picture, have fun and get creative with the kids. Here are a couple of scavenger hunt games to get you started. Great value in this game. Separate cards for adults and kids. 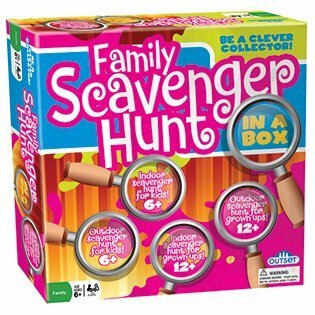 This scavenger hunt game can be played indoors and outside because there are cards for both. Age and weather don’t matter with this set, save some time by having the game in a box and ready to be played. This scavenger hunt is for kids 6 years and up and is a whole lot of fun for the whole family. It’s a board game where you move your piece one space for each object that you find. This is a great family game for those rainy days inside. Keep this one away from the kids. This is the perfect game if you are organizing a bachelorette party. 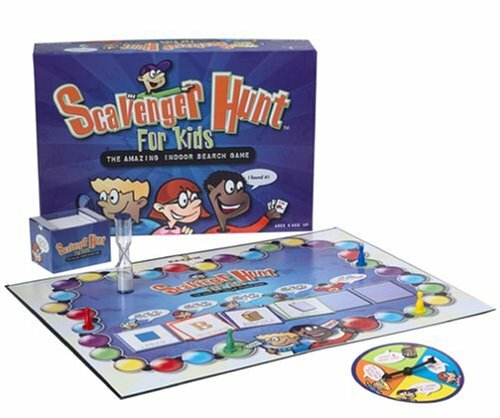 This is a scavenger hunt board game that encourages kids to get up and be active. It will also help to develop social skills while they search around the house for items. 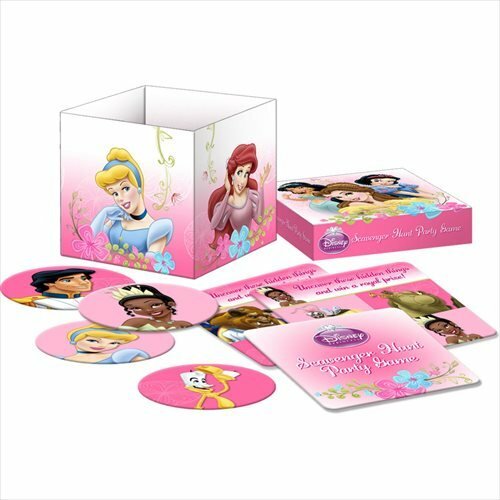 Now here’s a game that is sure to please the aspiring princess in the house. 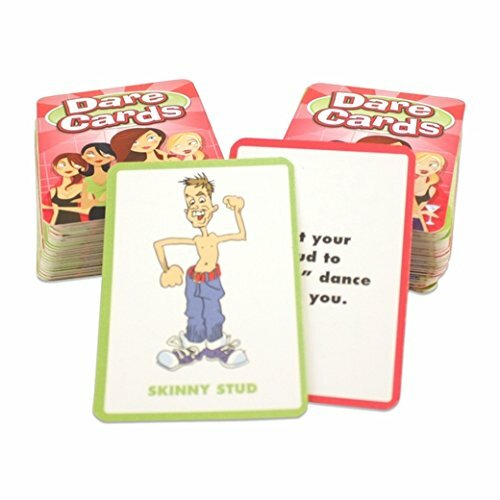 This game is easy to setup and play and is great fun for parties and get togethers. Can be played over and over with different hiding spots for the characters. Ages four and up will have get the most from this game.